Italy is famous for its delicious food. Therefore it is no surprise that AEGEE-Bergamo, AEGEE-Bologna and AEGEE-Genova put the amazing cuisine of their country in the focus of their Traveling Summer University (TSU) in 2018! The title of the event: “Train your taste: a BiG voyaGE BeyOnd your flavours”. 30 participants will have the chance to participate in this event which starts on 13th of July and ends on 29th of July 13th. 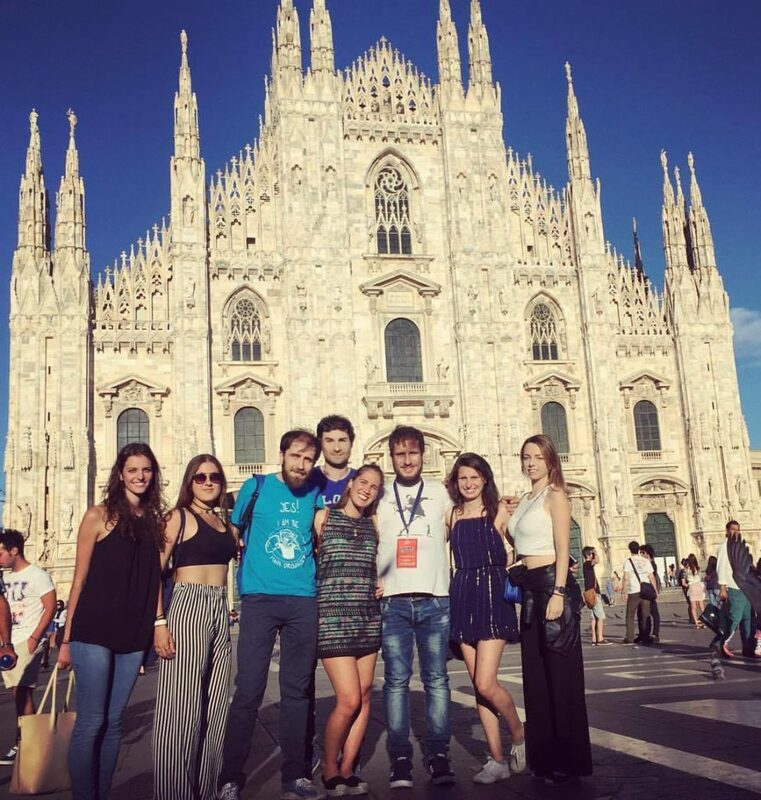 The Golden Times spoke with AEGEE-Bergamo, which organized one of the best ten Summer Universities in 2017. Margherita Pellegrini, main organizer of the successful event in 2017, told us what made last year’s event great. And Stefano Mazzanti, main organizer this year, told up more about their new plans. The good and hard work done by the core team, especially because we mostly worked remotely… but it was not all peaches and cream, of course we had ups and downs! The vital knowledge transfer and tips we had from former organizers – it is always amazing to be able to rely on somebody who had the same experience already! The help and involvement of AEGEE-Bergamo members during the event. The cooperation with the AEGEE Academy trainers, who provided trainings and added value to our SU. The cooperation with the municipality of Bergamo, which played a crucial role in the organization of our SU: it provided us accommodation and transportation for free and it promoted our event throughout its channels – website, local newspapers and TV. Besides, we cooperated with the University of Bergamo and other locals NGOs. Last but not least, the great relationship between organizers and participants: they were 24 amazing AEGEEans who created a strong group and who really cared about us and wanted us to enjoy the event! Golden Times: What’s the main topic of your SU in 2018? And why did you choose it? Stefano Mazzanti: The main theme is food. Italy is the home of good food and the best way to discover this is to travel in it. The visits and all sessions will be carried out around the world of food and what it can offer. Golden Times: SU means Summer and University. What’s the University aspect, what is in the tuition part? Stefano: The strength of organizing an event with several antennae is to bring together the strengths of multiple people. AEGEE-Bergamo has always learned by collaborating with members of other antennae and therefore we think that having a collaboration for one of the most important projects of AEGEE is a winning move to bring an unforgettable experience for our participants to life. That said we have all the resources necessary to manage the whole part of the lessons. Golden Times: Let’s talk about the Summer part of your SU. What are the three main programme highlights in this area? And which cities or landmarks will you visit? Stefano: We will visit three cities by train. The first city will be Bologna, home of spaghetti and Italian deli. The second one is Bergamo, “the city with two hearts”. The ancient heart is stone and resolute, but the young one is feral and European. And finally we will go to Genoa, the land of the hundred seas and thousands ways. 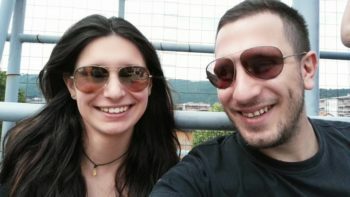 This trip will have as main theme the food, in particular the craft production in Italy, so the places of greatest interest of our visits will be breweries, dairies and agri-food companies, where participants will observe the process of production of the best products of Italian cuisine and then eat them. Stefano: The SU of 2017 has been our best result since the first Summer University we have organized, so we have a lot to learn from the previous coordination team. The challenge of this year is to organize a summer travel that certainly implies greater efforts, higher costs and requires a more solid and precise organization, so we must be more careful and scrupulous than last year. Stefano: What makes our antenna special is the attention to the detail and the search for a good result. This is essential in obtaining a goal and above all to work calmly and accurately. The collaboration and coordination of each single member in a single synergy can transform a small idea into a great project and a great project in a spectacular event. Golden Times: How did you choose your co-organisers? 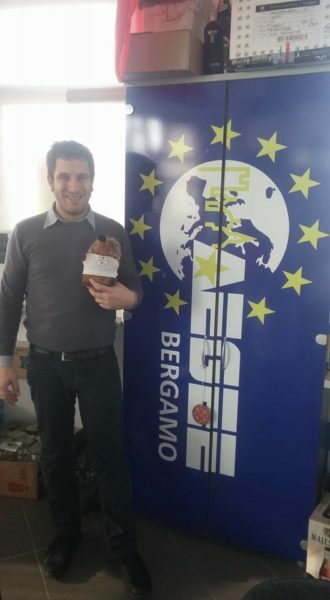 Stefano: The project started with AEGEE-Bologna after our pre-Agora Catania event “The Transitalian Dream”. After that event we decided to do a TSU and chose Bologna to work with because of the good collaboration we had! AEGEE-Genova came after, we are friends with their board and we were happy to work on a project together. Stefano: The classic communication channels like SU site, Facebook page and much more. 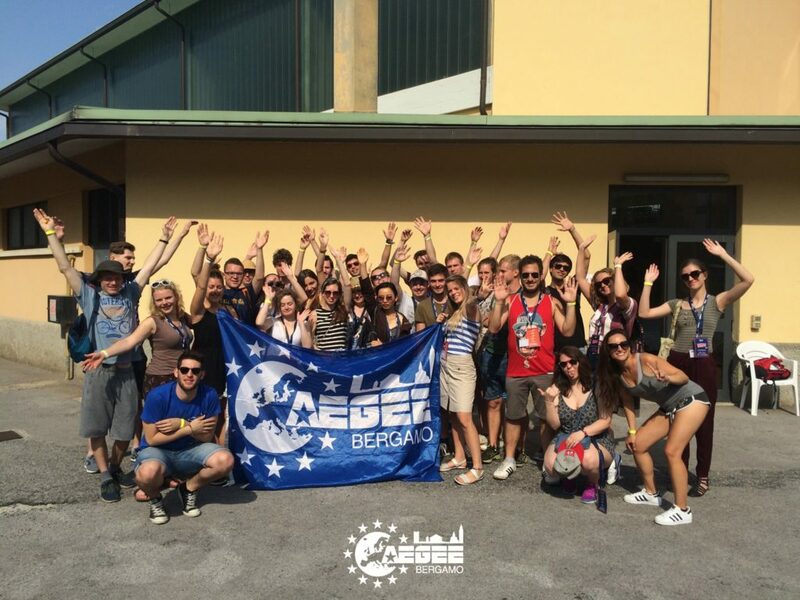 AEGEE-Bergamo will amaze you as it is our habit to do. Stefano: We already started to work. The main topic of the SU will be food: Italy is indeed famous for it. Genova is known for beautiful landscapes, pesto and focaccia. Bologna is not just famous for the oldest university in Europe, but also for all the tasty food you can get there. Bergamo the city of casoncello and of the two lions defending the walled city. So don’t miss the opportunity to Train Your Taste!